oan Grillo, in his harrowing article about Mexico’s war on drugs in this issue of the Dissident Blog, raises a disturbing question: is it possible for us as journalists to use all the material we have about the violence that follows in the wake of the drug trafficking or are we then playing into the hands of the criminal organizations by strengthening their rule of fear? The violence is meant to inspire fear. To scare us. And to silence us. These syndicates expect society at large to step aside and allow them to operate undisturbed. The message the violence sends is especially directed towards writers and journalists: write what we sanction and be quiet about things we want to keep in the dark. Or you will die. We are witnessing a regular war on information. In his book El Narco (2011) Grillo describes it lucidly and with outrage. From the PEN perspective the really frightening aspect is that the freedom of the press and the freedom of speech are yet again being threatened—a development that has worsened in the past few years. In very different localities—from Russia and China, to Turkey and Belarus—the right to write about one’s own society and to discuss problems within these is being curtailed. Either we are talking about dictatorships or semi-dictatorships or even democracies the methods drawn on to restrict a free debate are often similar: shoot the messenger. 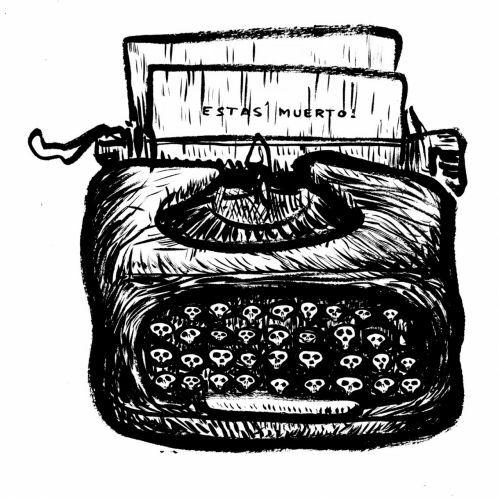 More than anywhere else this seems to hold true for today’s Mexico, the country that holds the depressing world record for having the highest number of murdered journalists. How is it then possible to continue writing without unintentionally becoming a pawn in the war on information? 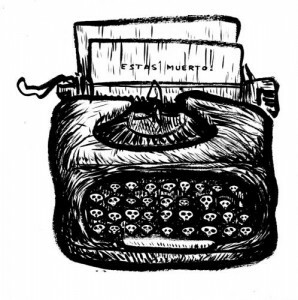 Alongside Ioan Grillo, in this thematic issue about the deadly war on information in Mexico, we present various narratives by people who are constantly living in threat of their lives—stories by journalists who have been subjected to assault and/or kidnappings. In addition, Darío Ramirez, director of the organisation for freedom of speech in Mexico called Article 19, and Jennifer Clement, former president of PEN in Mexico, give detailed background information to the current situation. We also publish a few reports about current developments in perhaps the worst affected place of all: Ciudad Juarez, situated on the border between Mexico and the USA.